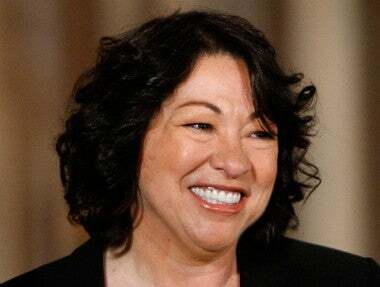 Pundits have framed President Obama's Supreme Court nominee, Sonia Sotomayor, as a judicial equivalent to her predecessor. Not quite: Justice Souter is a proud luddite who has never owned a computer. Sotomayor, on the other hand, is a nerd. She's handed down quite a number of cyberlaw decisions during her career, some of which show the kind of technological awareness that's utterly foreign to our current geriatric court. According to Wired's Threat Level, she's ruled against companies with deliberately hidden or misleading EULAs, limited the powers of the executive to acquire user information and records from ISPs with National Security letters, and widened online publications' rights to resell freelancers' content without additional payment. There's a catch: her penchant for tech comes from her experience as an intellectual property lawyer, meaning that—though this isn't conclusive—she could tend to side with organizations like the RIAA and MPAA should the court hear any filesharing-related cases during her tenure, which they almost certainly will.